Calgary Housing Market: Will Buyers Have Less Money for Renovations? I recently read that home buyers are making bigger down payments on their purchases. In the currently hot Calgary housing market, this could suggest that, in the end, buyers will have fewer funds available for renovations once they move in. All the more reason to stage your property for sale. So if buyers are trying to avoid the increased premium, they are choosing to come up with the extra cash to pay at least 20% down payment. If they don’t have the cash, they are seeking help from other sources (like borrowing from parents). If a potential buyer is viewing your property for sale, you want to keep this cash flow issue in mind. Let’s say they need to buy a property that doesn’t require any money for renovations. And the property you are listing is not brand new. How do you help the potential buyer quickly see that your home will work for them? Before: Kitchen before home staging. 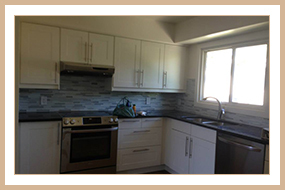 After: I love this stunning new white kitchen with stainless steel appliances in the kitchen in Acadia we just staged. As a professional home stager, I am so excited every time I turn a home into a stunning listing that potential buyers fall in love with. Every property deserves to be shown at its best. And every seller deserves to make the most of one of their largest investments. Before: Bedroom before home staging. 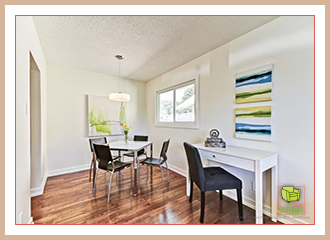 After: This dining space is perfect for enjoying family meals or entertaining guests. My staged properties sell fast! Ask me about it. Our calendar is getting full! 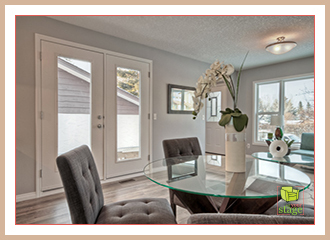 Contact Jen at Set Your Stage today to schedule your free Home Staging Assessment so that you can make the most of the hot Calgary housing market too! I love hidden treasures, variety, and a bit of excitement about the unknown. That’s why I can lose all sense of time when I’m browsing Pinterest and adding home staging ideas to the Set Your Stage boards. It’s that same sense of anticipation when browsing Calgary’s ‘up and coming’ neighbourhoods. 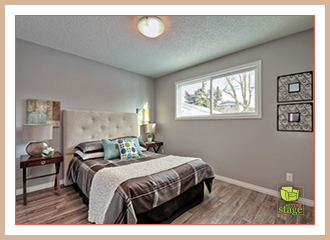 There are hidden treasures in Calgary’s Real Estate Market to be found. Add to that the fact that Calgary continues to be one of the top 25 places to live in Canada (actually Calgary’s ranked #2), and the opportunity to get into the real estate market in an upcoming community is definitely appealing. Recently I staged a couple of properties that provide a perfect example of what I mean about hidden treasures. This renovated heritage home looks new while maintaining its charm and traditional elegance. It’s close to Inglewood (another popular up and coming neighbourhood) and a short walk to the Bow River Pathway. Close to the hustle and bustle of the city, this charming home on a tree lined street provides plenty of space inside and out. And perhaps a bit of romance! 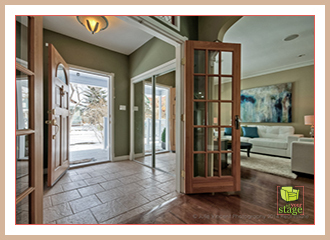 After: Beautiful French doors welcome you into the home after you enter through the large door. 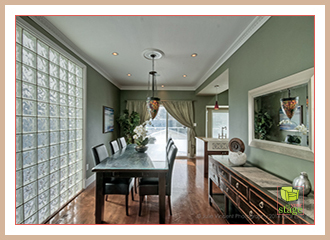 After: This dining space is perfect for enjoying family meals with view of the kitchen, living room and backyard. 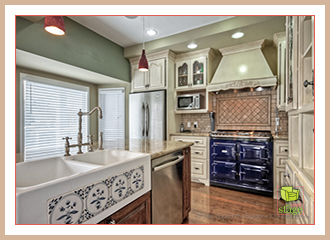 After: This kitchen is a cooks dream with a gourmet stove and granite countertops. For sale by owner, this is a really cute bungalow that has been gutted and renovated from top to bottom. Glamorgan is another popular upcoming neighbourhood close to 17th Ave and Signal Hill Shopping for convenience. Once you step inside, there’s definite wow factor. Easy to live with finishings and colours make it move in ready. If you like, use your creativity to add wow to the outside. 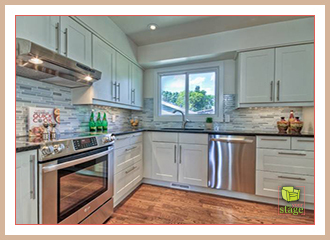 After: I love this stunning new white kitchen with stainless steel appliances, beautiful backsplash and ample storage in the kitchen in Glamorgan we just staged. After: This dining space is perfect for family meals. After: This stylish bedroom is the perfect retreat for any homeowner. If you’re up for it, Calgary has hidden treasures in real estate to be found. So get out there are take a look for your own best-kept secret. Make a move! Welcome to this beautiful Hamptons estate home we staged backing south with panoramic views of the valley fairways and pond. 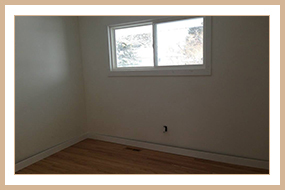 As you enter the home you are greeted with hardwood floors that span the entire main level. To the left your have an office with French doors then a formal dining room. The dramatic great room has windows that span floor to ceiling allowing you to enjoy the sweeping views. For more information on this property with a kitchen a chef would dream about, contact Heather Davis, RE/MAX House of Real Estate 403-287-3880. 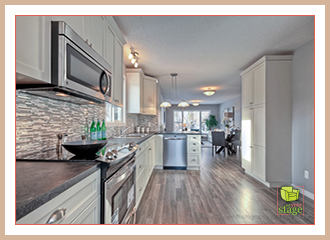 You are currently browsing the archives for the Homes For Sale In Calgary category. Home Staging Calgary | Services | Portfolio | Meet Jen | Testimonials | Behind The Stage: Blog | Contact Images & Content © Set Your Stage Inc.